The London Biohackspace is growing momentum and more and more projects are coming out from the heads of our members. As September approached, I thought of rounding up the projects, ideas, new tools and excitement that the space has catalysed in the past few months. The most active collaborative project is currently iGEM, which involves about ten of us and allows us focus on a specific idea for the summer. Other blog posts will describe it more in detail (as well as the iGEM wiki). In a few words we are engineering yeast (S. cerevisiae) to brew new types of beers, with designer properties that we may want to try in our ales. We are currently working on our cloning, setting up a series of protocols to easily transform both E. coli and S. cerevisiae in the lab. Our first biobrick encodes the Miraculin protein from Miracle berries, which makes sour taste sweet, and a series of other parts are planned to make all sorts of things with our beers: from glowing in the dark to feeding us with vitamins. 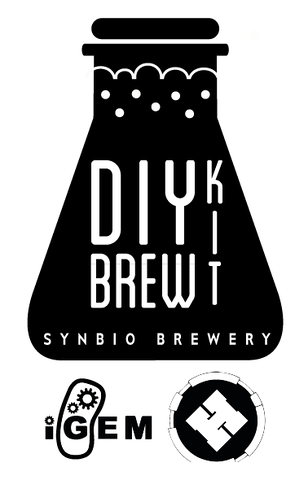 The Synbio Breweries DIY Brew Kit aims to become an accessible kit containing a variety of engineered yeasts for use in homebrewing. 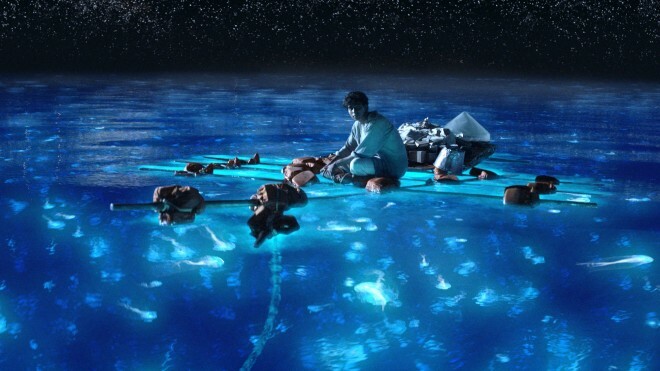 The second most active collaborative projects is Bioluminescence, and in particular the culturing of some beautiful glow-in-the-dark oceanic plankton (remember Life of Pi? ), that alternatively kindle our enthusiasm for DIY biology with the beautiful glow, or bring us to great despair when the heat wave in London killed our beloved culture. 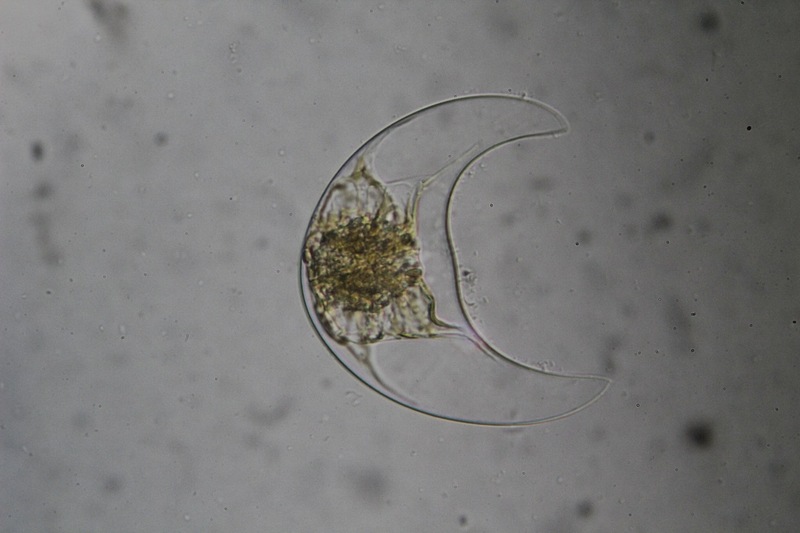 We are starting to explore very interesting areas of research with the Dinos (that’s the friendly name of the plankton “Dinoflagellate”) including their genetics, as well the possibility of picturing them under the microscope. As we received our CL1 approval last may, and we make our first steps into synthetic and molecular biology, we started noticing that a lot of it is just moving a small colourless liquid into another small colourless liquid. The legacy of some of our members tells them that that’s no job for a human, hence automation is growing of interest in the lab. We realised that all the pieces to automate our lab-in-a-basement facility were actually present already, the implementation quickly began. With a Tecan genesis moving at our will, an automated competent cells prep machine under development, and a miniprep robot ready to be hacked, we are closing the circle of a synthetic biology experiment building process. Do Tecans Dream of Electric Plates? One of the big priorities of the lab was to complete our set of equipment to do DIY-biology. Our approach of gathering half-broken tools and machines from kind donors of various London and UK based universities is revealing very effective. Very often the piece of equipment only needs some good advice from a hackspace member, and one night of work of Tom (thanks Tom!) to become a brand new lab tool, often worth thousands of pounds if bought new. Our newest arrivals include two shaking incubators that nicely stand next to our non-shaking incubator (also known as pastry oven), a new Tecan robot, a new scale, new PCR, fridge, freezer, refrigerated centrifuge, bioreactor… All of these are building our sets of equipment to do molecular biology (an extensive list is kept updated on our wiki), and with every new piece of equipment it becomes easier and easier to develop projects in the lab. 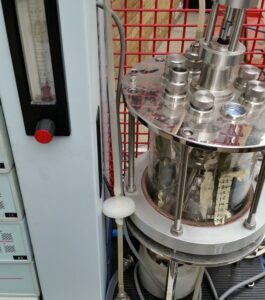 2 litres bioreactor from UCL, what should we produce next? This increasing set of tools is finally moving the focus from “Let’s make a cool lab” to “Let’s make cool things ‘cause we have a cool lab!” – and new ideas are moving to the bench faster than ever before. I collated a short list of some of the overheard members projects, which hope to quickly yield interesting results and gather the interest of other biohackers. None of us want to be bio-loners! Will be joining the biohackspace in October. I am looking forward to hopefully collaborating on some of these projects!